Halloween is one of my favorite holidays and the perfect time to indulge in some creative, out of the ordinary, entertaining! 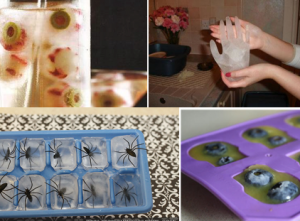 While everyone is preparing for their frightful festivities this weekend we wanted to share some tricks and treats that will surely wow your guests and ensure a memorable event. Nothing gets a party going like a tasty adult beverage! When playing host/hostess you want to spend as much time with your guests as possible- pre-mixing a large bowl of punch is the easiest way to ensure that you won’t be playing bartender all night. 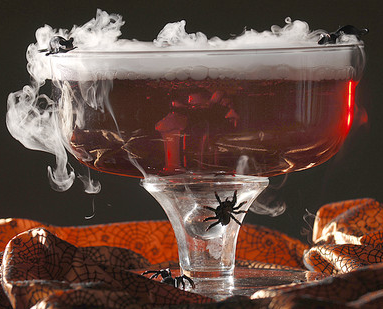 This punch recipe is super easy, and perfect for any Halloween bash! With a delicious glass of punch in hand, your guests will be ready to eat! 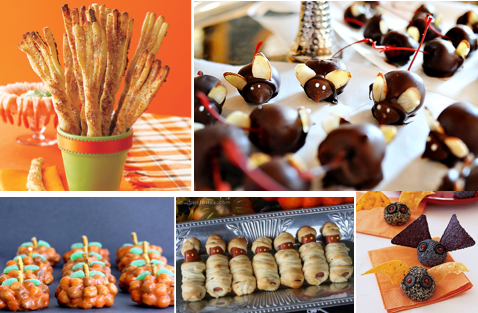 The number of Halloween inspired treats is endless, when choosing what to make, be sure to build a well rounded selection of appetizers and hors d’oeuvres. I’ve come across so many cute and creepy, but still easy to make Halloween snacks- check them out below! One of the most important aspects to consider when planning a themed event is the atmosphere. I believe it is truly impossible to over-decorate for Halloween; the spookier the better! 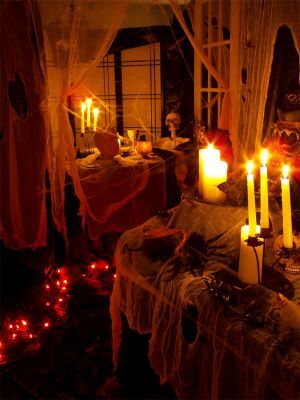 Cobwebs, pumpkins, and skeletons should all be on site; try to avoid turning on any overhead lights, surround the room with dozens of candles. 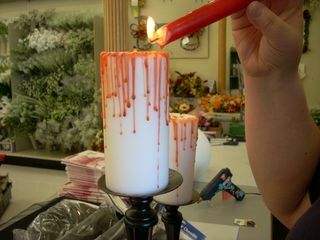 Check out these easy to make bloody candles! A successful party is all about good food, good friends, and good fun! Halloween is the one night of the year where anything goes! Show up in an outrageous costume, consume ridiculous amounts of chocolate and be sure to celebrate with all of your favorite people. Be safe & have fun- Happy Halloween everyone!